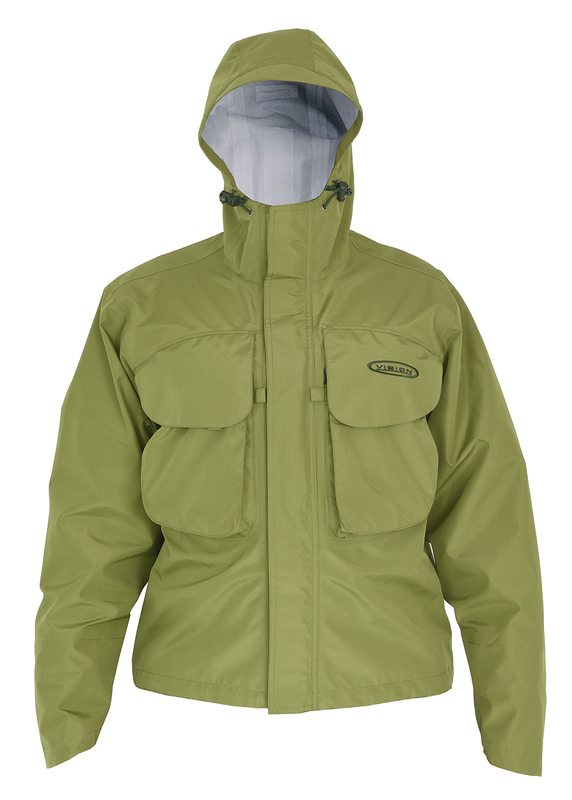 A traditional wading jacket, Vector jacket is made with a comfortable and more relaxed, spacious fit. 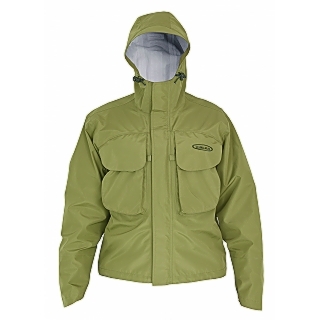 It has big barrel pockets on the chest with easy flap openings and one napoleon type pocket next to the main zipper. The double storm flap keeps the rain out of the zipper and the adjustable wrist cuffs can be tightened to keep the water out. The forest green colour blends nicely in without spooking the fish.